With the release of the iOS 11.3, iPhone users have new features to both sift through and look forward to, such as increased battery health information and control, new Animoji on iPhone X, and Health Records in the Health app. 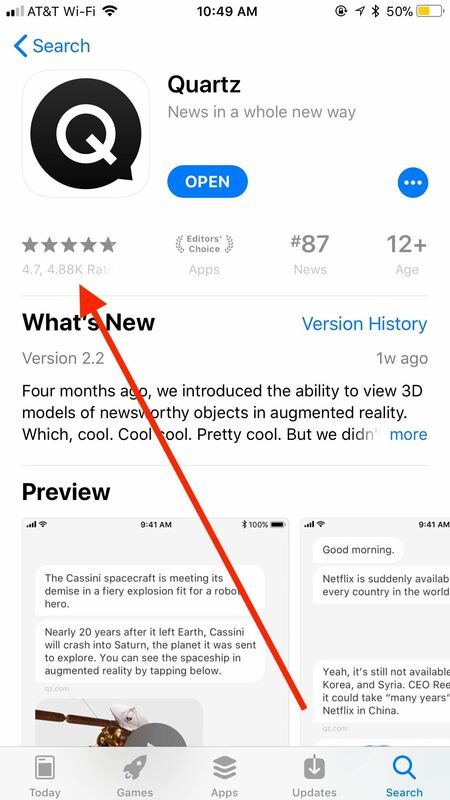 A smaller change with the update, however, is also a useful one — a new way to sort App Store reviews. Did you know before version 11.3 you couldn't sort App Store reviews on iOS? Bizarre, but true (we had to double-check ourselves). It's such a simple yet intuitive feature that you would think Apple would have included it from the App Store's inception. Well, better late than never. First, if you haven't installed iOS 11.3 yet, make sure you do. It was finally released on March 29, 2018, to the public, so don't miss out but not updating! Once your iPhone is running 11.3, open the App Store. 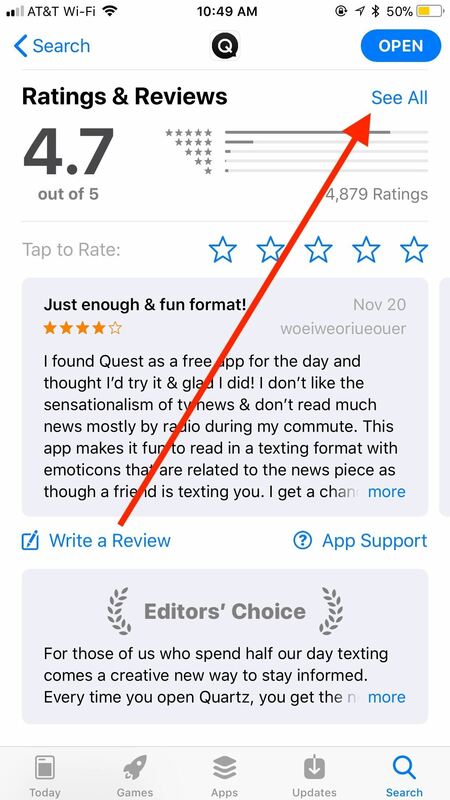 Tap on an app or game that interests you, then either tap on the stars that appear under the app's icon or just scroll down yourself to the Ratings & Reviews section. From there, tap on "See All" to open up all of the user reviews. Afterward, you will see the sorting options above the first review listed. 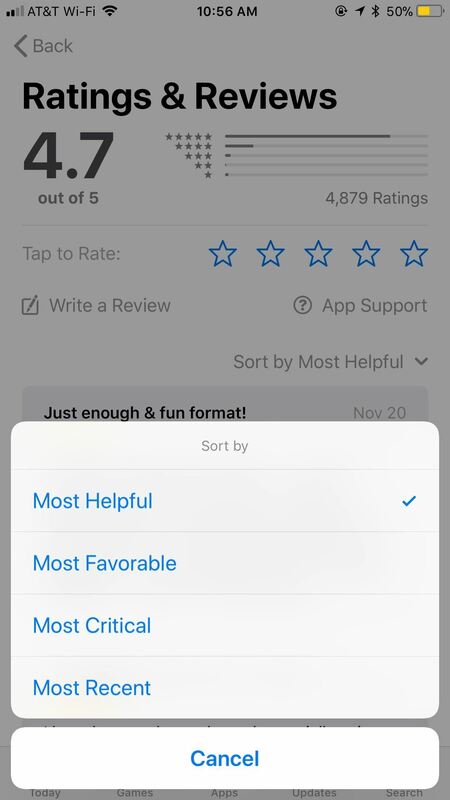 By default, Apple sorts reviews by "Most Helpful," which is based on user feedback per review. However, you have other options. Tap "Sort by Most Helpful" to open your sorting options. 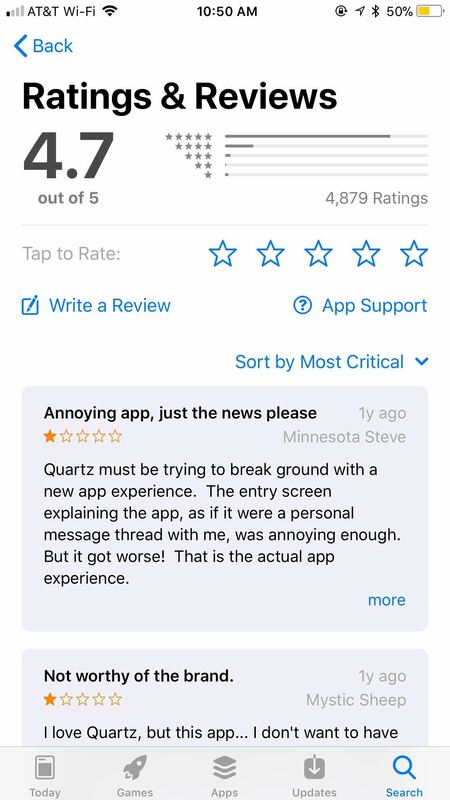 From here, you can choose from "Most Favorable," which sorts comments by users who liked the app best; "Most Critical," which sorts comments by users who disliked the app most; and "Most Recent," which floats the newest comments to the top. 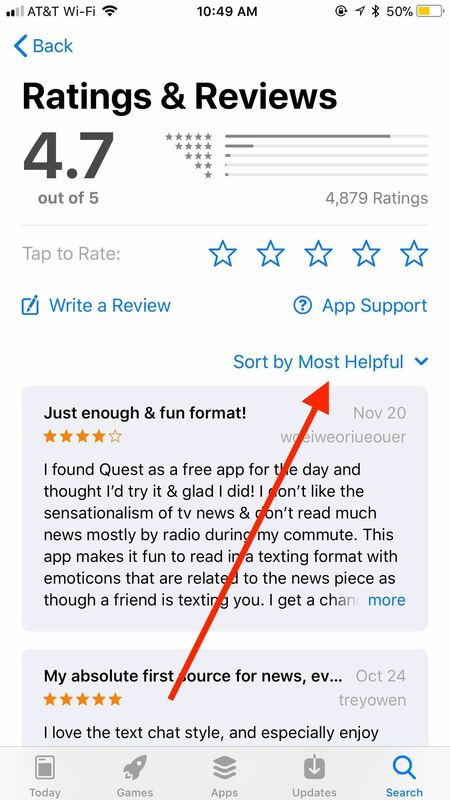 Unfortunately, your choices do not save, so when you leave this app's page, all app reviews will be sorted by "Most Helpful," the default option. And so far, sorting only applies to the App Store, not in the iTunes Store or iBooks Store.